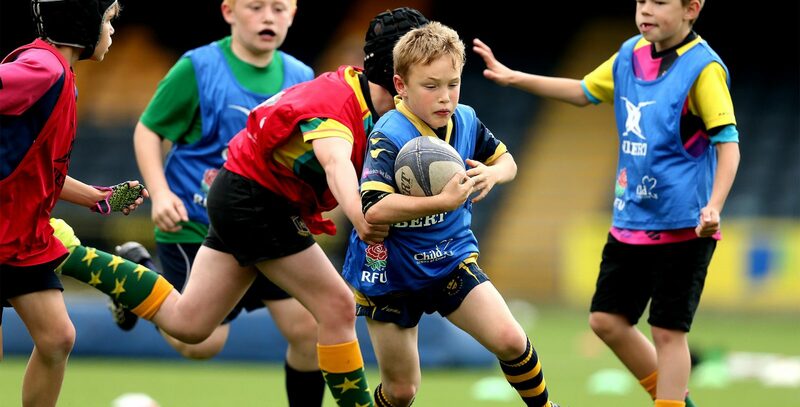 Warriors run a series of festivals during the season ranging from Under 7s Tag to Under 12s Contact and Girls Festivals. Festivals are run within the RFU regulations and with the emphasis on enjoyment and sportsmanship, leaving both parents and children with memories they will cherish. With clubs entering from numerous different counties it offers children the chance to meet and play against teams from all across the region in a friendly atmosphere. All participants receive a certificate presented to them by a professional rugby player. Matchday tickets are offered at a discounted group rate allowing everyone the chance to come inside the stadium after the festival and see how the professionals do it – making the day a truly memorable one. For more information on forthcoming festivals email Steve.Joslin@warriors.co.uk or call 01905 459316.